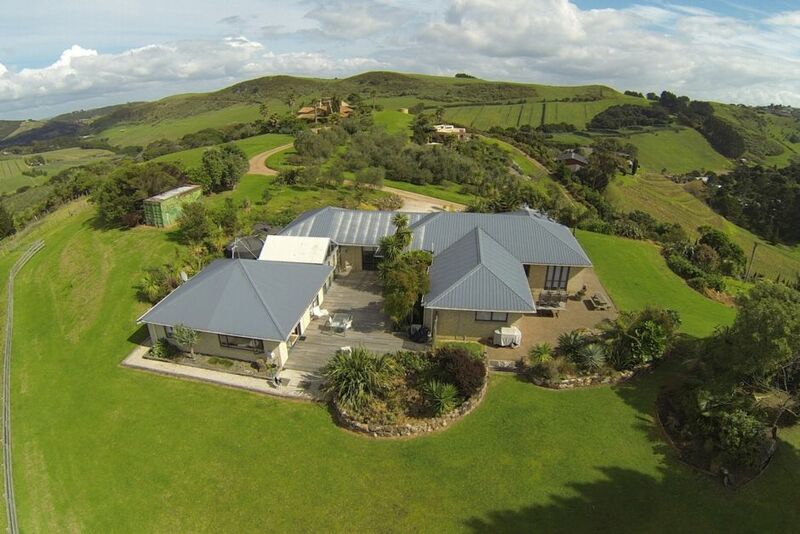 Set on a 10 acre block with beautiful sea, vineyard and bush views. 15 minutes walk to beautiful Onetangi beach or a 10 minute walk across the farm to Te Motu Vinyard for wine tasting and lunch, or a 1 minute stroll to Miro Vinyard for more wine and food. This is a beautiful location and a great place for a weekend to relax, or base to explore the island. There is a large deck to entertain guests, celebrate a wedding or just unwind. This retreat is spacious, tastefully decorated, and self contained. There is a new spa bath, airconditioning and a beautiful deck and bbq. Make friends with the interesting herd of alpacas or the comical flock of guinea fowl. Small dogs welcome $20 a night extra. The views are incredible and Yeliz and Adam are just wonderful. Walk to the beach,Great beach swimming the water is beautiful, Walk to the best restaurant on the Island and the views and wildlife are amazing. The house is lovely, quiet, modern, clean and with everything you need. We couldn’t ask for more and had the most amazing holiday. Thank you Yeliz and Adam. The location is good but the property and facilities were 'tired'. The location is good but the property and facilities were 'tired'. After staying at excellent places in Napier and Nelson we were a little disappointed with this property. Beautiful house and friendly host! Beautiful house and friendly host! Loved our stay! Surrounded by a few wineries in the area which was great. Highly recommend! Awesome location, clean and comfortable place to stay while on Waiheke. Awesome location, clean and comfortable place to stay while on Waiheke. The birds and dog were very friendly (and quirky, which we like) and it was lovely to be able to have our little dog stay with us. Highly recommended.